This article is part of our special report Reform of EU family law. Every person from birth to death enters into relationships with others. 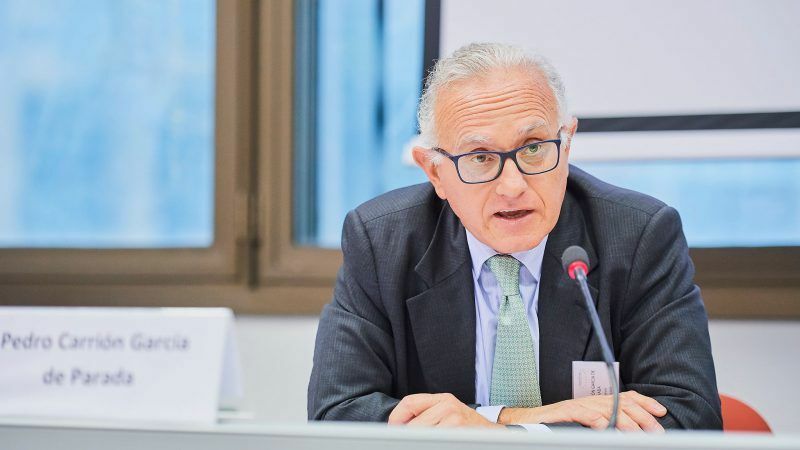 These relationships, whatever their type, need to be regulated in order to coexist well, argues Pedro Carrión García de Parada, on the occasion of the European Day of Justice. Pedro Carrión García de Parada is President of the Working Group on Family Law at CNUE, the Council of Notaries of the European Union. The best thing would be for one’s own wishes to play an important part in their regulation, for there to be autonomy in their development, for the individuals themselves to determine and regulate these relationships, always with the most scrupulous respect for the limits set by law and with full respect for the rights of others. In the area of family law, a person may wish to regulate his or her relationships as a couple – whether within a marriage or a stable union – or a possible crisis in the relationship, or living together with his or her children or with the other parent, or his or her parenthood by assisted fertilisation or by adoption or as a consequence of surrogacy, or the protection of people with disabilities, including possible future incapacity. It is true that the European legislator does not have a comprehensive regulatory framework of which citizens can avail themselves. In many matters, in the absence of common European rules, it is necessary to resort to the law of the State of which one is a national, the solution varying according to which regulation is applied, which can provoke, in case of conflict, an unbridled race in search of the most suitable jurisdictional body or the law that is of most interest. Logically, this is not good for legal certainty, nor for social peace or for the economy in general. This legal uncertainty causes citizens to waste a great deal of time and money. The European Union has been trying for some time to put a stop to this situation. The solution that has been chosen in the field of family law, ruling out the drafting of a single body of legislation, either with rules of substantive content or with rules of private international law, has been to provide sectoral responses, to resolve specific issues, adopting conflict rules which, respecting the legislative autonomy of each Member State, determine the competent court, the applicable law and which documents can be recognised, accepted and enforced beyond the borders of the State in which they were born. Although I personally believe that it should not be so difficult to agree on common substantive rules, if there really is a genuine and firm desire to put aside nationalism, the solution adopted does not seem bad to me: adopting conflict rules which resolve which national law will be applicable, which court or authority will have to resolve the conflict and which documents will be able to have effects in Member States other than the one in which they were generated. Nor do I think it bad that it was decided to resort to the enhanced cooperation procedure because it was impossible for all the EU Member States to reach agreement. It would be preferable for them all to be participating Member States, but in the face of the rigidity of some and the continuing opposition of others, who have nevertheless been given too much room, it is best for the process of creating a Europe of law that common texts are adopted by a substantial majority. In many cases, I am convinced that the social developments that will inevitably take place in non-participating Member States will lead them to join as well. It is a matter of time. On the other hand, I am not in favour of the obsession with developing standard models, however optional they may be, to which citizens can adjust when they conduct their business or express their will. These models do not exclude the need for advice, they do not shorten or reduce the cost of any procedure and they represent a tightening of the law, they restrict party autonomy, the diversity of rules and of life itself by not being able to foresee all the situations that may arise. These models do not prevent, on the contrary they exacerbate, the danger of adopting solutions that are neither wanted nor well known, and that lead one to believe that no advice is needed. The forms could lend themselves to abuse, fraud, imbalances, impositions, ignorance, errors, false expectations, resulting in a will that can easily be attacked and challenged, thereby breaking the legal certainty and social peace that are the objective of these common European rules. I would like to highlight as provisions already adopted, some of which are in the process of being reformed, Regulation No 2201/2003 of 27 November 2003 (Brussels IIa) concerning jurisdiction and the recognition and enforcement of judgments in matrimonial matters and the matters of parental responsibility, which deals with marital crises, the competent court and the recognition and enforcement of authentic decisions and documents. It is supplemented by another Regulation, Council Regulation (EC) No 1259/2010 of 20 December 2010 (OJEU 29/12/2010), known as Rome III, implementing enhanced cooperation in the area of the law applicable to divorce and legal separation, which, for the first time, was not adopted unanimously by the Council. Another important Regulation is Council Regulation (EC) No 4/2009 of 18 December 2008 on jurisdiction, applicable law, recognition and enforcement of decisions and cooperation in matters relating to maintenance obligations (OJEU 10.01.2009), to which I add the Directive on mediation in civil and commercial matters of 21 May 2008 (OJEU 24.5.2008) and the two Regulations which were the subject of a conference held in Brussels on 23 October 2018, organised by the Commission with the collaboration of the CNUE, which will become applicable on 29 January 2019 and which are Council Regulation 1103/2016 of 24 June 2016 implementing enhanced cooperation in the area of jurisdiction, applicable law and the recognition and enforcement of decisions in matters of matrimonial property regimes and Council Regulation No 1104/2016 of the same date, of identical content, but relating to the property consequences of registered partnerships. Both have the same structure, recognise as competent both the jurisdictional bodies, which do not necessarily need to be courts, and other authorities, accept the agreement both to determine the competent body or authority and the applicable law and declare their respect for judicial decisions and for authentic public documents for which they provide for a regime of recognition/acceptance and simple and rapid execution, with few grounds for opposition, dispensing with legalisations, apostilles and similar formalities. 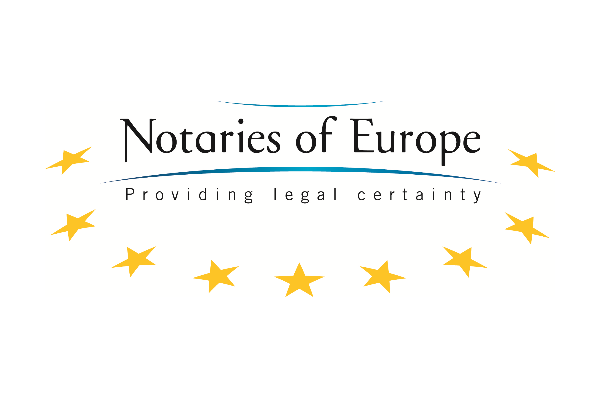 I welcome these texts, which recognise the importance of the form that agreements should take, as an instrument for achieving duly informed consent, and recall the role that the notary plays in this regard by giving authenticity to the document. Hopefully, more texts will arrive. There are matters that knock at the door, such as, for example, the protection of people in vulnerable situations or, more controversial, surrogacy. What is important is that the European legislator persists in its work and gives citizens the tools to regulate the relationships they encounter throughout their lives, making their lives easier.